Sometimes it's difficult to distinguish it with b. Can anyone give some (historical) reason for that? The printing press not only served to print and distribute books, but also to unify all the Latin Nationals lowercase in the only standard Carolingian minuscule, name due to Emperor Charlemagne, the architect of the unification. Until then, the scribes of each European country had their customs about writing and each character differed considerably. 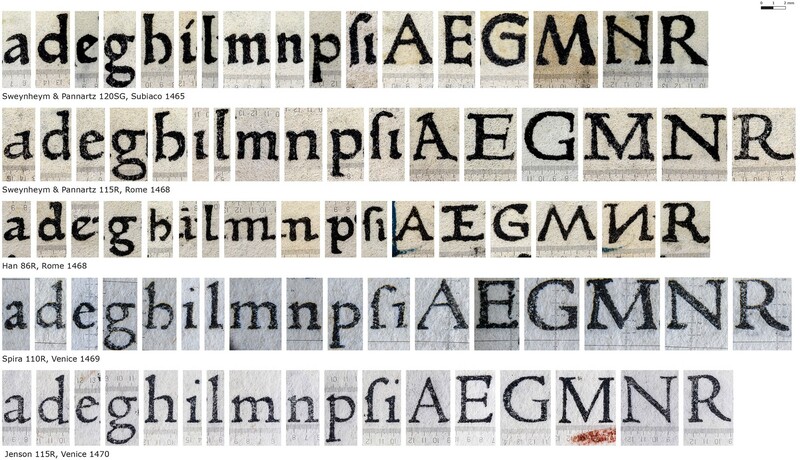 Among them the round h.
This image perfectly shows the evolution of the first manual Sweynheym & Pannartz's Romans, practically equal to the calligraphy of the scribes, to the best graphically constructed and adapted to the printing system. We should have in mind that the Garamond we see today has already gone through many processes of redesign, from the "insert into a grid" of the XVIII th century, to Morris Benton's drawings at the beginning of the 20th century, the photographic adaptation of the mid-20th century until reaching the digital age. Even so, many of its essential features are maintained. 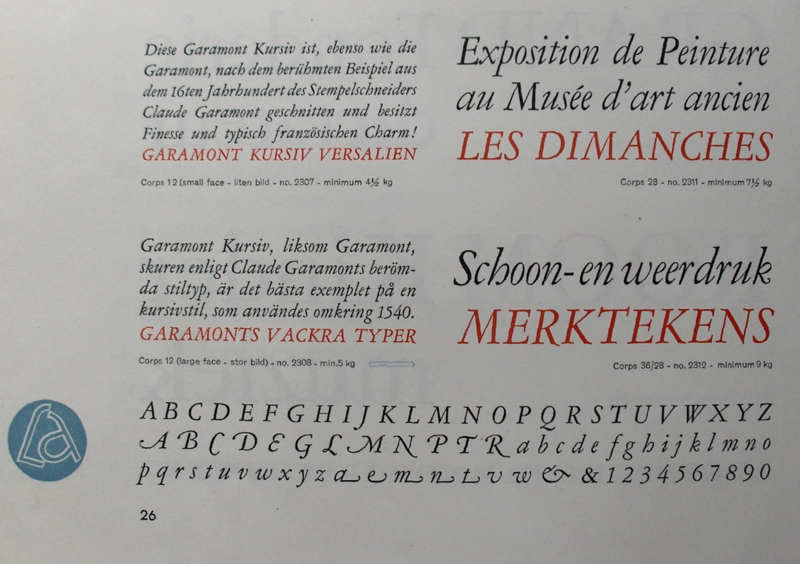 Although all the current classic typefaces keep the Carolingian minuscule, some historical like Garamond Font prefer to retain part of these old characteristics as an essence of its origin. The historical reason is that early italic typefaces were based on handwritten cursive lettering which was popular at the time during the early 1500s when these typefaces were first developed for printing. The origin of cursive scripts was uncial lettering which evolved in the 4th to 8th centuries, and which ultimately came from Roman hand written cursive scripts used during classical times. These early cursive scripts also eventually developed into modern miniscule (lowercase) letter forms.